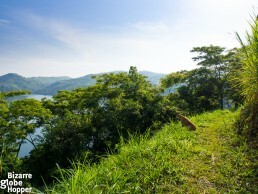 Fort Portal area in Western Uganda has one of the densest concentrations of crater lakes in the world. The photogenic explosion craters rhythm the rolling hills giving the landscape a pastoral flair. Some of the craters are flooded with unbelievably clear water; the others are vegetated and even cultivated. 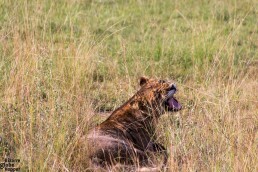 Our brief visit to the crater lake area was an utter bliss in between a tight safari schedule. 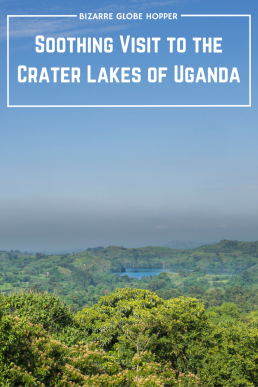 The crater lakes region lies in the western Uganda, in Albertine Rift Valley near Congolese border. Total of 86 crater lakes are paired with vegetated calderas and guarded by the mighty Virunga and Rwenzori mountain range. It is believed that these lakes were formed in extremely violent, volcanic explosions about 10 000 years ago. Most of the craters are now extinct, though some release the smell of sulphur. While also Lake Bunyonyi is considered as a crater lake, we’ll cover here only the smaller lakes pocketed around the town of Fort Portal. 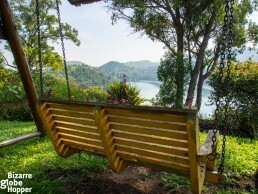 But another article about Lake Bunyonyi is also on its way! 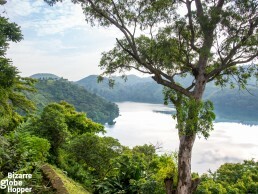 Which Crater Lakes to Visit and Where to Stay? The crater lake area is officially divided into lake clusters of Fort Portal, Kasenda-Ndali, Katwe-Kikorongo, and Bunyaruguru. 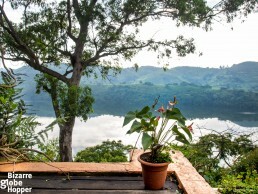 Kasenda-Ndali area, about 30 kilometers south from Fort Portal, has the highest number of lakes. Pleasingly, it’s also the most easily accessible for tourists. Accommodation preferences probably narrow down your choice of the crater lake. Options stretch from basic accommodation in nearby towns to communal campsites and luxury lodges with serene lake views. In general, the views are at their very best from the hills, not straight from the shores. 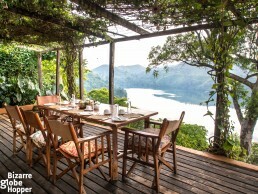 I have to admit that our choice was made according to the impeccable views of delicately plush Ndali Lodge. We fell in love with the picturesque Nyinambuga crater lake based on Ndali’s glowing TripAdvisor reviews. And honestly I couldn’t have imagined more picturesque setting! 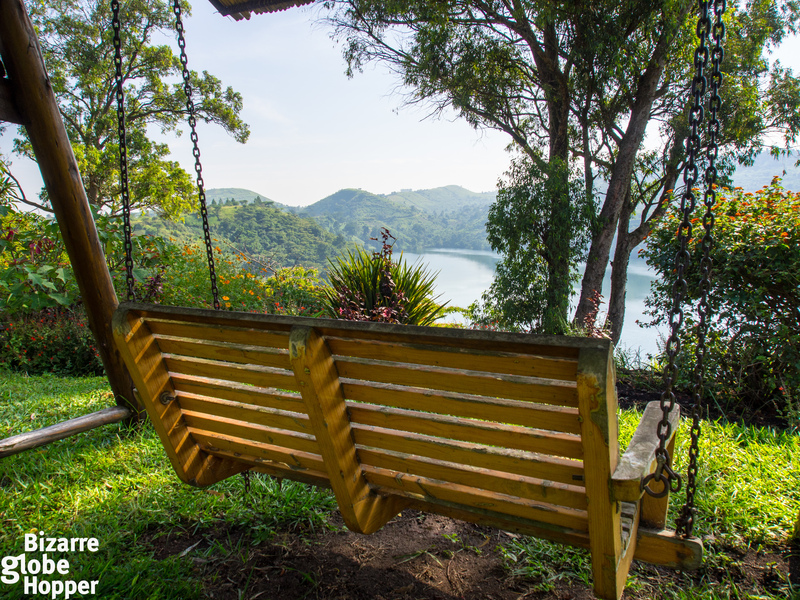 The dreamy view from Ndali to Nyinambuga Crater Lake decorates deservingly Ugandan 20 000 Shilling note. 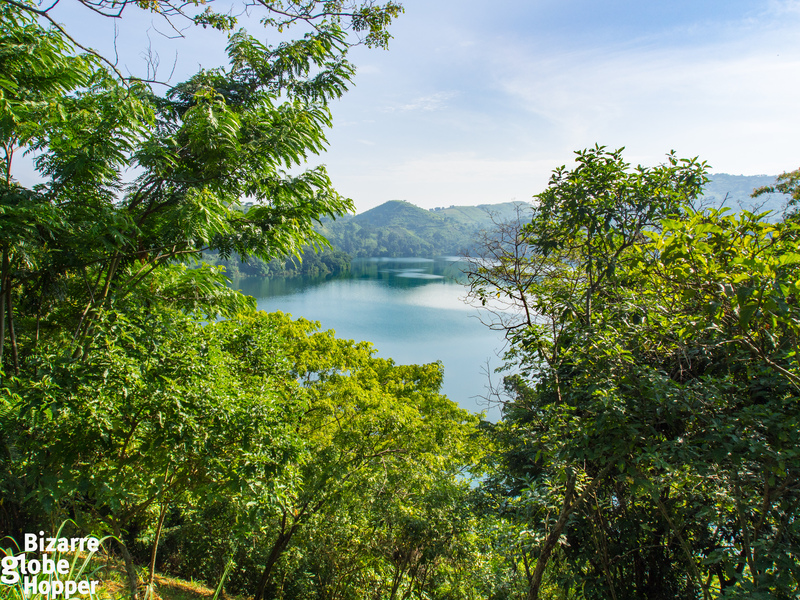 A winding road from Fort Portal passes three smaller craters before leading to the Ndali Lodge that rises dramatically on the top of Nyinambuga Crater Lake. Perched on a rim between vegetated explosion crater and Nyinambuga, Ndali offers unbeatable views to both directions. 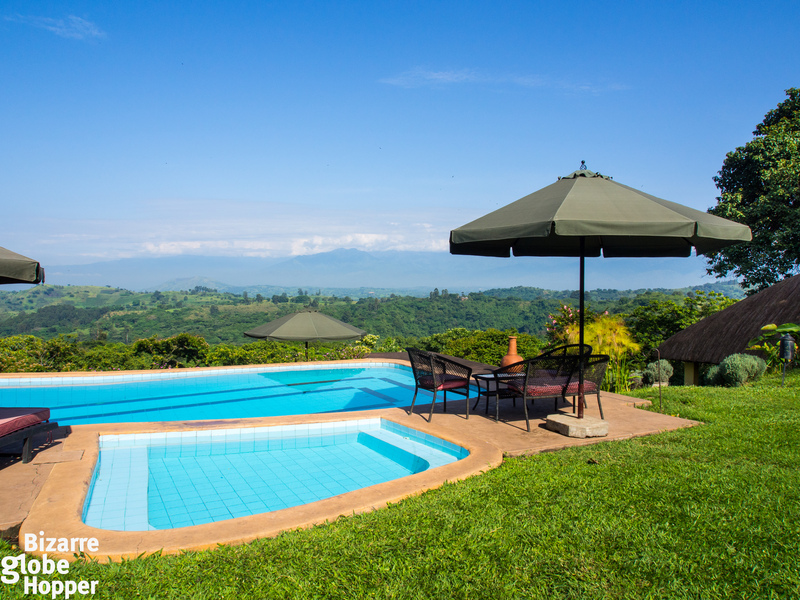 On a clear day, you can even see the distant wall of Rwenzori mountains. Witnessing a sunset from our porch behind the blue peaks is one of those moments that we’ll cherish the rest of our lives. 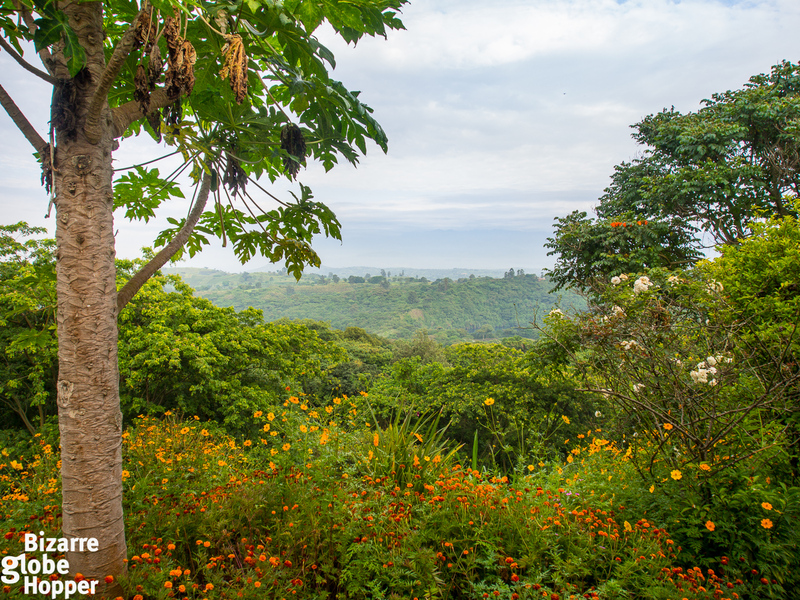 The roots of Ndali Lodge run deep: the estate served as a tea plantation already in the early 1900s. The candle-lit dining area and lounge have a homey, yet quaint British colonial feel. Breakfast view from the veranda is among the most breathtaking morning vistas we’ve ever had during our travels. Photos transmit only a part of the charm: there’s something so magical in the atmosphere that you just have to experience it yourself. Don’t skip a sundowner at Ndali Lodge, if you are around! 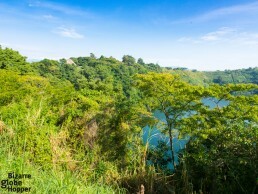 Nyinambuga Crater Lake – can you see the roof of Ndali Lodge upon a hill? Activities depend on where you stay, but you really cannot escape pretty forests with a dramatic backdrop of the crater lakes. Some viewpoints are accessible by road, but to really experience the distinctive surroundings, take a walk! Hills rise steeply from the shores promising a strenuous walk both ways. But you’ll be rewarded with tons of birds, butterflies, and playful monkeys. Our walk down to Nyinambuga crater lake was accompanied by two adorable resident dogs from Ndali Lodge: Polly and Sybil. 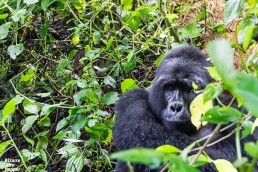 The exuberant fellows showed us the right path, playing with each other and chasing primates. We always miss our little dog while on the road, but Polly and Sybil eased our longing by greeting us in the morning and couching under our dinner table. After a perspiring descent, a pleasant surprise awaited us on the shore: a dock with benches upon a placid lake. Chirping got so loud that we hardly heard our own voices and settled for just gazing the scenery. If you are into birding, the walk gets even more satisfying, since you can spot for example Ross’s turacos and Great blue turacos. Due to high altitude (appr. 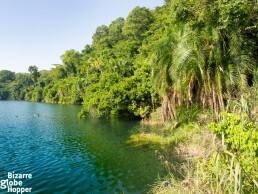 1400 meters), Nyinambuga and some of the other crater lakes are said to be bilharzia free. I wouldn’t risk it, though.  Some recent studies have found a high rate of Schistosomiasis (bilharzia) in travelers who have only swum for a couple of minutes in the pristine waters. 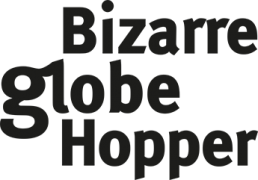 There are said to be also hippos lurking around. So don’t swim, just admire the beauty around you! 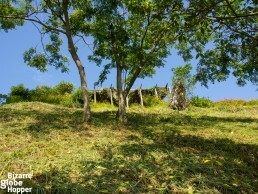 Tiny rural villages around the crater lakes remain untouched by tourism and modern way of living. 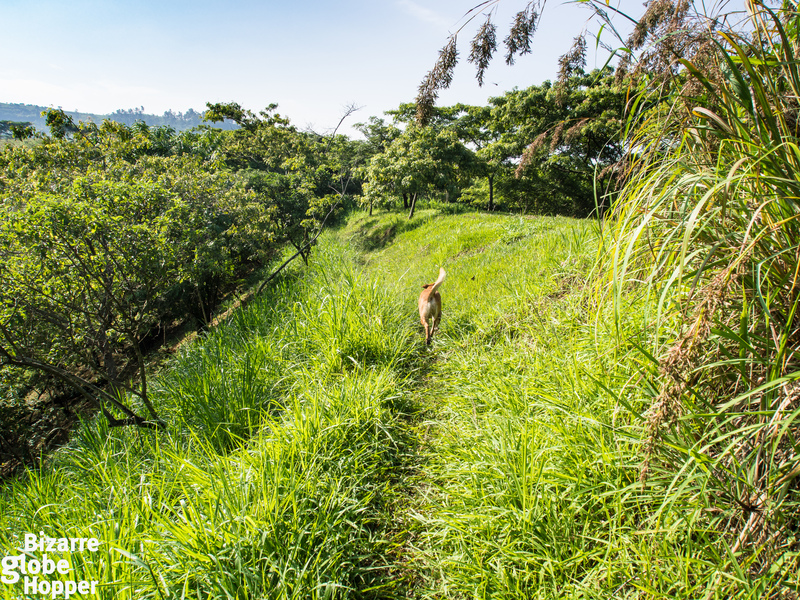 Still these vestal hills are home to the vanilla plantations, which produce world-class black gold rivaling the premium Hawaiian and Balinese vanilla we have sampled before. Ugandan vanilla is a must-have souvenir, though expensive. We bought ours from Ndali Lodge since theirs is organic. 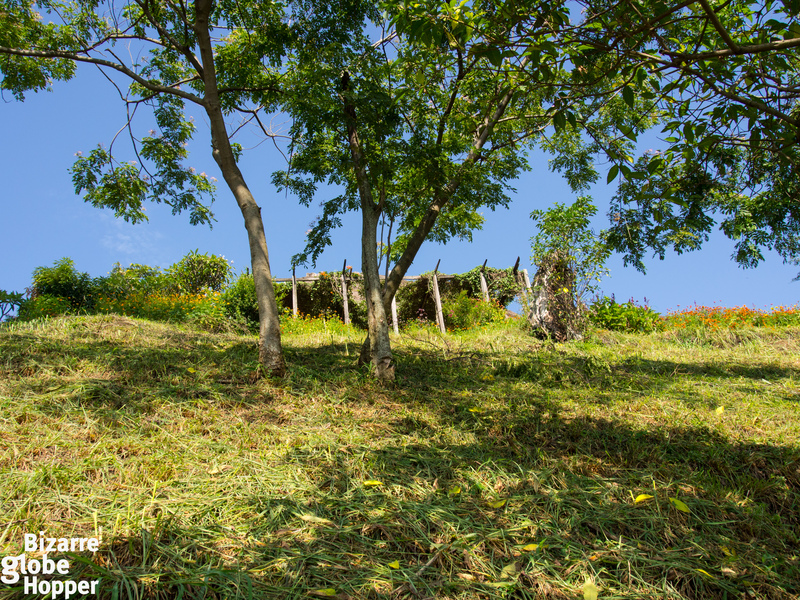 Stop by in some of the villages just to buy a sugar cane or fruits – a good excuse to talk to locals and immortalize the pastoral landscapes. Some vanilla and tea plantations are also open for a visit. Crater lake area is a lovely home base for chimpanzee trekking if you’re planning to greet the primates of Kibale Forest National Park. We did our chimp trek in a less crowded forest of Kyumbura in Queen Elizabeth National Park. 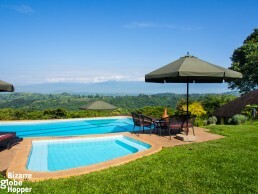 If your safari in Uganda covers Queen Elizabeth National Park, the crater lake area is almost on your route back to Kampala or towards Murchison Falls National Park. So take it easy for a day or two in the tranquil hideaway before the next long drive! Have you visited the crater lakes of Uganda or similar explosion craters somewhere else in the world? Please share with us your experiences! Our stay in the crater lake area was hosted by Ndali Lodge, and Mamaland Safaris toured us through the beautiful Uganda, but like always, all opinions remain our own. Tarangire National Park – the Best Place to See the African Elephants? 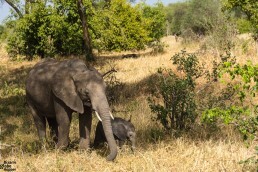 Tarangire National Park in Tanzania is often said to be the best place to see the African elephants and it certainly lives up to its reputation. 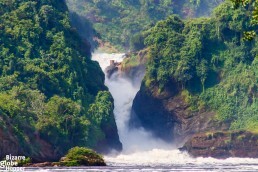 Thanks for a great article about our beautiful Uganda! 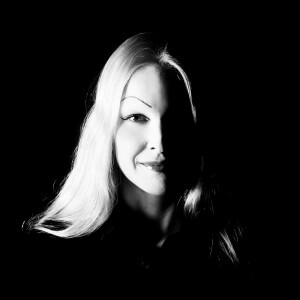 Interesting to read your views and enjoy great pictures.